Edgar Schiebel is senior scientist at the AIT. He studied mechanical engineering at the University of Karlsruhe and holds a PhD in management science. He works on analyzing the science system and the identification of emerging research issues and technologies. Edgar Schiebel has published journal articles on bibliometrics and scientometrics, book chapters about emerging technologies and research issues and numerous research reports. He is a member of international committees of scientific conferences and guest editor of the journals Scientometrics and Research Evaluation. 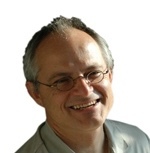 He lectures on foresight, business intelligence and science mapping at the universities of Ulm and Graz.